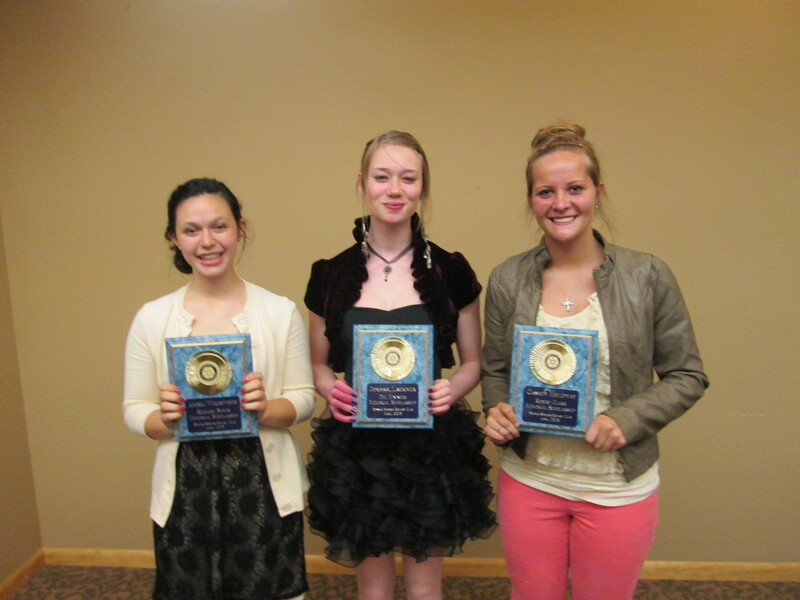 Fellow Rotarians presented three $1,000 scholarships at the Rotary Scholarship Awards Ceremony and Dinner at Tall Oaks. BSHS Senior Scholarship awardees from left to right are Andrea Wiglesworth – RICHARD BURNS AWARD, Jordan Lackner – DEL HININGER and Cassady Holloway – ROBERT CLARK AWARD. In addition, Juniors Scholars were also honored from left to right are Emily Prince – LANGUAGE ARTS, Tre Scott – SCIENCE, Austin Schuler – MATHMATICS and Ryan Turner – INDUSTRIAL TECHNOLOGY. Denni Pressley, Rachel Barber, Brianna Sawyer and Justin Carroll were not present for the photo. Ryan Turner’s dad, Mike, was the recipient of the same recognition for Industrial Technology in 1972. Scholarship funds were raised through various local fundraisers by the Bonner Springs Rotary Club. This entry was posted in Rotary Scholarship Program and tagged 2013 Bonner Springs High School Students, Bonner Springs Rotary Club, Bonner Springs Rotary Scholarship Program on May 9, 2013 by Bonner Springs Rotary Club.